The most precious assets in our society are our children and young people; their safety and security is paramount, as is providing an environment in which they can flourish. 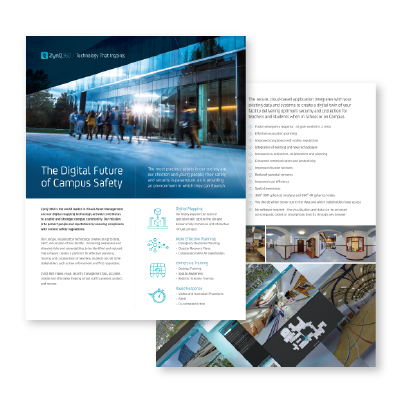 ZynQ 360 is the world leader in Visual Asset Management and our digital mapping technology actively contributes to a safer and stronger campus community. Our mission is to protect people and reputations by ensuring compliance with current safety regulations. Our unique, visualisation technology creates an up to date, 360°, virtual plan of any facility - increasing awareness and allowing risks and vulnerabilities to be identified and reduced. The software creates a platform for effective planning, training and collaboration of teachers, students and all other stakeholders such as law enforcement and first responders. ZynQ 360 makes visual security management fast, accurate, mobile and affordable, helping school staff to prevent, protect, and recover.